Toyota is committed to supporting our nation’s veterans, and their latest efforts in advanced robotic technologies have provided a U.S. war veteran, who has limited ability, the opportunity to feel limitless again. Decorated U.S. war veteran Romulo (Romy) Camargo starts his day like most of us. He wakes up, gets a drink of water, has some breakfast, brushes his teeth and gets dressed. But for Camargo, whose injuries in Afghanistan left him paralyzed from the neck down; these morning routines require some assistance. And Toyota is learning how to help. 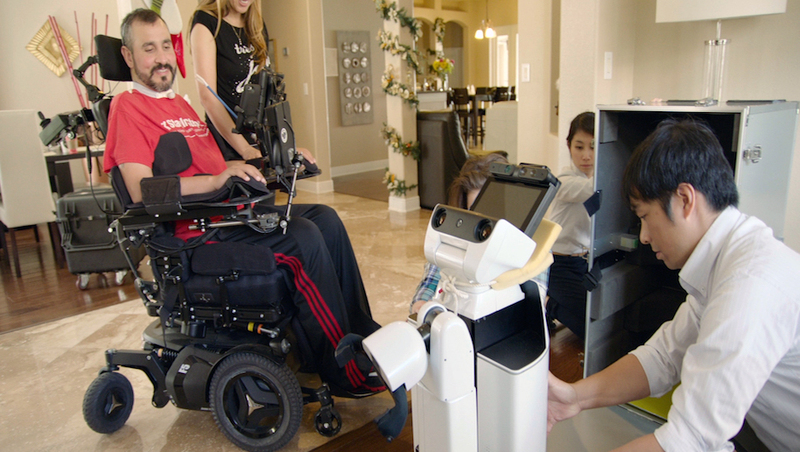 Thanks to Camargo, Toyota recently completed the first North American in-home trial of the Human Support Robot (HSR). 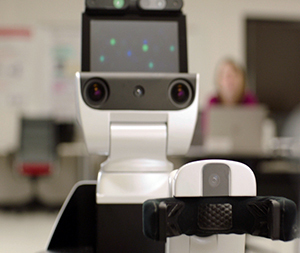 The HSR is one of the “partner robots” Toyota is developing to assist people with everyday activities, while actively researching ways to apply advanced technologies to help people with limited mobility, including seniors or those who are disabled. During the trial, the robot assisted Camargo with everyday tasks in his home including opening doors and delivering bottles of water or snacks from the pantry. The ultimate goal was to help him regain some of his independence and improve his quality of life. To Toyota, mobility goes beyond selling automobiles — it means helping people navigate their world and live the life they want to live, regardless of their circumstances. With the idea of ‘Mobility for All’ being a key driving principle behind Toyota, Romy’s story has provided a perfect opportunity to demonstrate just what that means. To Toyota, mobility goes beyond selling automobiles — it means helping people navigate their world and live the life they want to live, regardless of their circumstances. Toyota is dedicated to developing ways to utilize advanced technology to improve quality of life, especially among people with limited mobility. Project BLAID: A future mobility technology that could help people that are blind or have visual impairments gain better environmental awareness. PREVIOUS ARTICLE Discovery: Manatees Rescued, Top Analytical Scientists, Changing the Laws of Physics?